Our solar neighborhood continues to reveal new stars as techniques for finding small dwarf stars improve. Adding to the excitement is the discovery of four Earth-size planets orbiting Tau Ceti, which is about 12 light years away from our Sun. 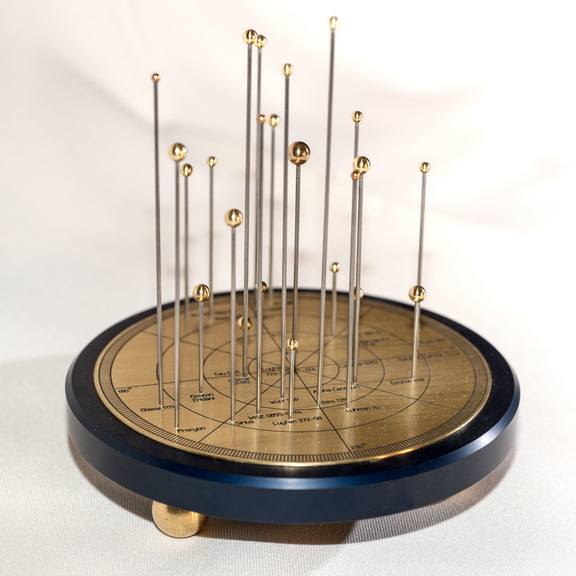 These discoveries led us to make this desktop model of the stars within 12 light years as a conversation piece. 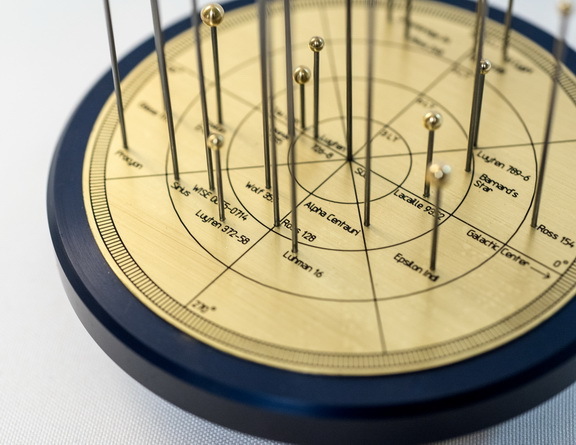 The model is based on the most recent data available, showing 22 stars within 12 light years of our Sun. The most recent in this model is WISE 0855−0714, discovered in 2014. 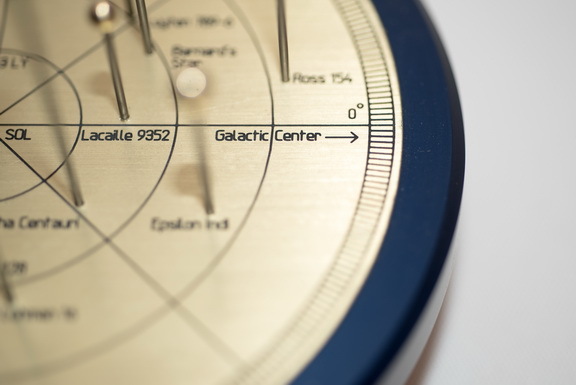 The engraved brass nameplate shows the coordinate system with an arrow pointing to the galactic center, concentric rings spaced at 3 light year intervals, and the name of each star at the base of its wire. Some stars are actually multiple objects, like Sirius and Procyon, but the scale of this model is too small to show multiples well. In this model a thousandth of an inch represents about 33 billion miles. Armstrong Metalcrafts is building a limited edition of 80 models for sale. The price is $149 with free shipping in the USA. To inquire about a purchase, please use our contact form or send an email to "sales" at armstrongmetalcrafts.com.